Finally, Ben and Daniel make it to the movie that everyone was anticipating since the post-credits sequence in Iron Man: THE AVENGERS!!! 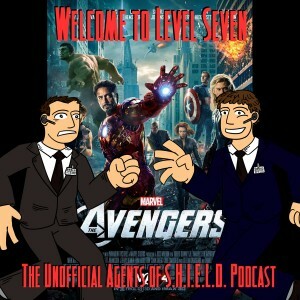 This is the first part of two episodes covering The Avengers. These episodes are two different conversations, not one conversation split in two. In this episode, Ben and Daniel talk about the characters and their character arcs. Does The Avenger push forward the character stories that started in each of those characters' solo films? Please, send us your feedback! You can contact us here! Regarding Black Widow’s Loki interrogation, I always assumed he was playing her during the interview. I personally thought that scene was kind of transparent. With Hawkeye on his side, surely that aspect of it was planned (Or at least that’s what I was thinking). Obviously he intended to be there and was there more or less, there voluntarily. I completely agree. He was playing her the whole time. In response to the feedback suggestion that you provide some comic book background on characters you mention… Whenever I hear a name I don’t know I check the Marvel Chronology Project (not sure if I’m allowed to post a web url…? Just Google). I’ve found it to be really complete and since so many characters span multiple series, it’s a great place to start and get an overview before tracking everything down.